It’s been months since the blowout of Tamar Braxton’s decision to file for divorce from Vincent Herbert has occurred. The new season of “Braxton Family Values” s giving viewers an exclusive look of the other sisters reactions to everything that went down. Currently. 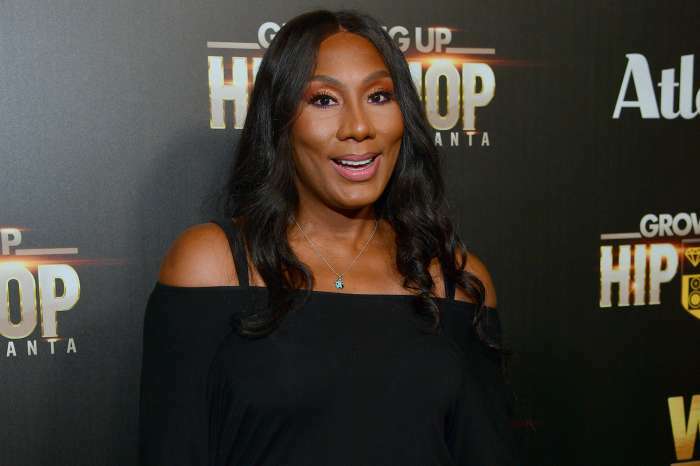 on the show, Tamar has gone AWOL since Evelyn Braxton talked to multiple outlets about the physical, mental, and emotional abuse her daughter suffered at the hands of Vincent. Like Celebrity Insider previously reported, the singer refused to talk to her mother and sisters once she caught wind of the interviews. Miss E is seen feeling extremely distraught — even breaking down in tears explaining her decision to speak out. Meanwhile, Towanda and Trina Braxton have consulted with lawyers in order to sue Vince! The lawsuit involves the rights to the “BFV” theme song. Apparently, the music is licensed in Vincent’s name and gives Tamar the credit for writing and singing it. The problem is, Towanda and Trina both contributed to it. Towanda is gunning for Vince because, as she openly admitted, they aren’t friends. The timing to dig up that issue could not have been worse because it was smack dab in the middle of the divorce spectacle. The lawyer will warn the two in a future episode that it could rip the family apart. This comes before it was revealed that Tamar is refusing to promote “Braxton Family Values” because she feels that the show is painting Vince out to be the bad guy. Tamar and Vince have been spotted on family trips getting very cozy together so a reconciliation will not be surprising if it happens. The Braxtons, minus Traci, are supposed to head out on tour with Toni soon so hopefully any bad blood has been dissolved. Do you think they are justified in filing a lawsuit against the producer?